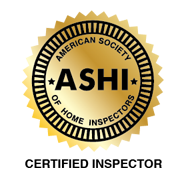 Proudly providing Home Inspection Services across Colorado’s Front Range, including: Denver, Boulder, Greeley, Parker, Castle Rock, Centennial, Thornton, Northglenn, Commerce City, Brighton, Erie, Frederick, Firestone, Dacono, Longmont, Fort Lupton, Hudson, Keenesburg, Arvada, Wheatridge, Lakewood, Littleton, Westminster, Broomfield, Louisville, Lafayette, Superior, Loveland, Berthoud, Evergreen, Conifer, Englewood, Aurora, Roggen, Prospect, Wiggins, Bennett, Brush, Strasburg, Fort Morgan, Platteville, Johnstown, Milliken, Evans, LaSalle, Gilcrest, and Mead. Duane Younger founded Twin Peaks Inspections after spending 25 years in the construction industry and has been providing professional home inspection services across Colorado’s Front Range since 2004. Duane excels at setting his clients’ minds at ease. You can expect him to take the time to answer your questions, explain your inspection results, and make sure you understand the importance of his findings. Your complete digital report will be delivered to you while he is still on site! Your home is likely to be the biggest financial investment of your life, and you need as much knowledge as possible to make a wise decision. Homes are very complex systems, and whether you’re buying, selling, or custom building, you need a professional with decades of experience on your side to ensure you get what you need out of the closing process. Whether you’re buying a manufactured starter home, or your dream retreat complete with lavish outbuildings, Duane will bring the same level of professionalism, eagerness to help, and attention to detail to your inspection. 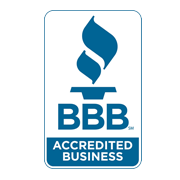 Trust Twin Peaks Inspections to be honest, dependable and thorough, so that you can avoid as many surprises as possible.